The amendments were approved by the FIFA Council at its meeting in Bogota, Colombia, on 16 March 2018, and were the result of extensive negotiations between FIFA, FIFPro, the European Club Association and the World Leagues Forum under the umbrella of FIFA’s Football Stakeholders Committee, which includes confederations, member associations and professional football stakeholders. The changes, which mainly concern the relationship between professional players and clubs, maintenance of contractual stability and the efficiency of the dispute resolution system, will come into force on 1 June 2018. In this article, we will focus on the new rules on contractual stability and their rationale. Indeed, the new art. 24-bis of the Regulations, which aims at ensuring that monetary decisions are respected, deserves to be addressed in separate, together with the new art. 64 of the FIFA Disciplinary Code, on failure to respect decisions issued by FIFA or by the CAS in appeal, as amended by FIFA Circular no. 1628, published on 11 May 2018. The new provisions included into the Regulations intend to reinforce the maintenance of contractual stability between professional players and clubs. In first place, art. 14 of the Regulations has been amended to include a new paragraph concerning abusive situations where the stance of a party (either a player or a club) is intended to force the counterparty to terminate or change the terms of the contract. The amendment is valid both for players and clubs. However, it undoubtedly intends to protect mostly the players, particularly in situations of undue pressure exercised by clubs, such as for instance when the player is excluded by the squad, or forced to train alone. The fact that similar circumstances may represent just cause had already been affirmed by the FIFA DRC and the CAS in decisions related to the so-called “right to play”; the amendment codifies this practice, bringing much needed clarity. Importantly, the provision is wide enough to include “any” abusive conduct which aims to force the other party not only to terminate”, but also to “change” the terms of a contract. The determination of the subjective element will be fundamental in the sense that the abusive conduct has to be put in place with the specific aim of such illegitimate contractual consequences. Secondly, art. 14-bis is introduced in the Regulations, whereby FIFA affirms the existence of just cause when a club fails to pay a player at least two monthly salaries. In such cases, just cause for the player exists when the club’s failure is unlawful (i.e. unjustified) and he has put the debtor club in default in writing granting a deadline of at least 15 days to comply. Interestingly, collective bargaining agreements validly negotiated at national level may deviate from such principle (it is not specified whether only in favour of the employee or also to his detriment), whereas alternative provisions in existing contracts are reserved. As far as salaries which are not due on a monthly basis (such as, for instance, advance of payments) are concerned, par. 2 of art. 14-bis affirms that such payments shall be considered pro-rata and that delayed payment of an amount which is equal to at least two months shall also be deemed a just cause for the player to terminate his contract. However, for the author it remains unclear whether advance of payments paid by clubs at the beginning of a contract will be deemed already “earned” by the player, or if, in such cases, even when a club delays the payment of two monthly salaries, just cause would not automatically exist in light of the anticipated payments. Thirdly, an important change was included in the “famous” art. 17 of the Regulations with regard to the calculation of compensation due to a player for breach of contract without just cause by the club (conversely, the situation in which compensation is due to a club since it is the player who terminates the agreement without just cause remained unchanged). The article now makes a distinction between compensation due to players having remained unemployed following the breach of the contract without just cause and those having found new employment. In the first one (no doubt less common), the player shall be entitled to receive the residual value of the contract that was prematurely terminated; in the second, the value of the new contract for the period corresponding to the time remaining on the prematurely terminated contract shall be deducted from such residual value. In addition, when the termination is due to overdue payables, the player shall be also entitled to an additional compensation varying from three to six monthly salaries. In any event, the overall compensation may never exceed the rest value of the prematurely terminated contract. Also in this case, collective bargaining agreements validly may deviate (and prevail) from such principles. It may be argued that, by introducing this provision, FIFA is deviating from the Swiss legal principle of the “positive interest” (according to which the injured party shall be put in the position that it would have had if the contract was performed properly), since, in cases where termination is due to financial reasons and the player subsequently signs with a new club, he might end up being put in a position all-in-all better than the one he would had had if the contract had been complied; on the other side, FIFA probably considered that, in those situations where the new salary of the player is equal or similar to the one he received at the previous club, the contractual breach by the latter would, in the previous system, result in almost no consequences for the club, even though the player would have gone through an undoubtedly unpleasant situation; FIFA might thus have aimed at granting such “additional compensation” to the player in order to compensate such distress. Finally, par. 6 was included into art. 18 of the Regulations (which specifically deals with special provisions relating to contracts between professionals and clubs), which now prohibits the so-called contractual “grace periods” for the payment of due payables towards players, unless explicitly allowed under a collective bargaining agreement, or established in contracts which were concluded prior to the entry into force of such provision. 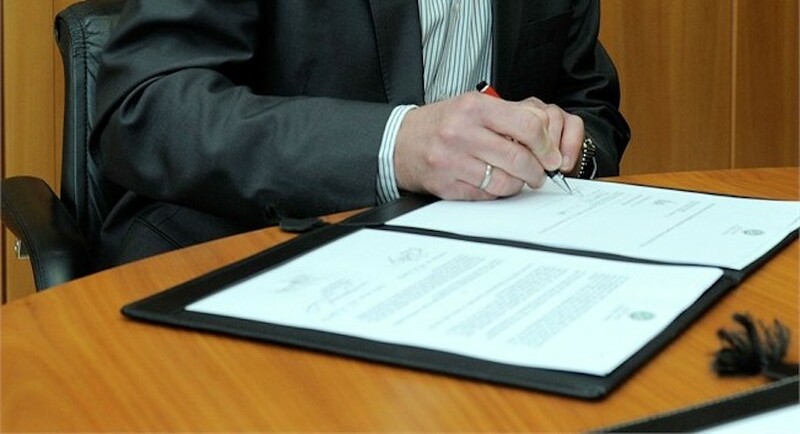 This is a provision which clubs will need to carefully take into account, particularly when drafting employment contract with players; no matter if included, FIFA will not recognise the validity of grace periods clauses, and the clubs shall thus adapt their practices and include in employment contracts only schedule of payments which they strictly are able to comply. More in general, the introduced amendments form part of a wider agreement which led FIFPro to withdraw the complaint against FIFA it had lodged with the European Commission since September 2015. Within the next months it is also expected that FIFA will introduce further modification to the regulatory transfer system, which are currently being analysed by the worldwide governing body for football. Agency activity is also being closely scrutinized by FIFA, with new regulations to be introduced before the end of the year. Stefano Malvestio in a Guest Lecturer at The FBA. For comments, suggestions or more information on this and other sports law-related matters, feel free to contact the author of this article at stefano.malvestio@bicharaemotta.com.br or via LinkedIn and Twitter.